The Byron at Byron strikes the perfect balance between relaxed luxury and unforgettable service in one of Australia’s most iconic beachside locations. The five-star resort offers guests the chances to relax your body and mind with free daily yoga classes or immerse yourself in the outdoors, with endless trails through the rainforest. Unwind poolside with signature cocktails and pool service by the 25-meter infinity pool. Then dine at the on-site restaurant, with seasonal menus based on a farm-to-plate philosophy accompanied by an extensive selection of local and international wines. Watch the majestic whales in their stunning natural environment with this once-in-a-lifetime retreat opportunity. Learn about the beautiful Humpback Whales as they migrate north and then return with their young. Whale watching season runs from May – October each year with tours beginning in June. This experience offers insight and interpretation from some of Australia’s leading whale researchers. 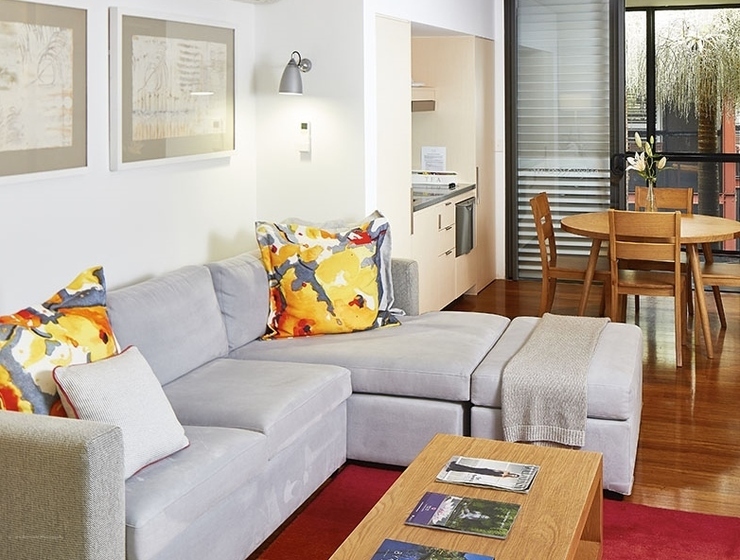 The Byron at Byron offers a selection of luxurious and modern accommodation. There are 91 rooms in the resort, ranging from Standard to Superior and Deluxe Spa Suites. All rooms feature air conditioning, deep soak bathtubs, television and cable, wifi, a hairdryer, in-room safe and two verandahs. Under the leadership of Head Chef Gavin Hughes, the ‘paddock to table’ cuisine is comprised of seasonal dishes inspired by local produce and the surrounding natural environment. The Byron at Byron Restaurant is known for its light Mediterranean fare, offering resort guests and Byron Bay residents, seasonal menus across breakfast, lunch and dinner. All rates are inclusive of goods and service tax. All credit card transactions (including payments and refunds) are in AUD and The Byron at Byron Resort and Spa cannot be held responsible for any foreign exchange fluctuations or international transaction fees imposed. Acceptable methods of payment include cash, debit card, personal cheque, bank cheque, traveller’s cheques and credit cards. Credit card payments will incur a 1.5% surcharge. Occupying 18-hectares of rainforest next to the iconic Byron Bay location, The Byron at Byron lies just 25-minute walk from Ballina Airport and a 10-minute walk from Tallow Beach. Guests are invited to explore the unique ecosystem with the resort’s ranger.